To protect the collection of military relics, artifacts and memorabilia to ensure their proper recognition and place in history. To provide a forum which stimulates and promotes the free exchange of knowledge and information among collectors, historians, hobbyists and the public. 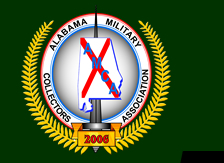 To conduct exhibitions where AMCA members and the general public may buy, sell and trade military artifacts. To encourage the collecting of militaria and educating the public in its historical significance.